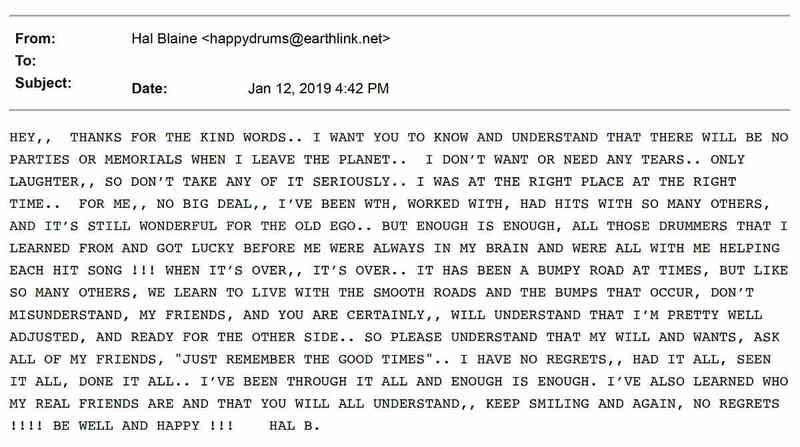 In the music community, Hal Blaine is a certified legend. Prolific is a great word to use here. To put things into perspective: If you could achieve just one tenth of his success, you would be a drumming superstar and could retire happy. Even if you don’t know much about him or his legacy (he’s not a “household” name for many younger drummers), it’s guaranteed that you’ve heard him drumming on something. There’s a story about Bruce Gary, drummer for The Knack, being disappointed to learn that 12 of his favorite drummers were all Hal Blaine. Hal passed away this month at his home in California of natural causes, age 90. Much of his most notable work was as a member of session band “The Wrecking Crew”, where he played on over six thousand singles (including hundreds of top 40 hits). He influenced drummers worldwide, and won the respect of some of the world’s biggest musical stars. The Wrecking Crew were the go-to musicians for the biggest producers and songwriters of an entire generation. In total, Hal Blaine recorded drums on over 35,000 songs. That’s over 85 days of nonstop recorded music… More than one recorded track per day for every day of his life. Along with hundreds of top 40 tracks, he’s played on 150 top ten hits and 40 number one hits. The most important thing to point out here is that none of this was by accident: He was simply that good. He was called upon by the biggest names in the music industry, and for years he was the go-to drummer who could nail anything and lift a recording from good to amazing. This was well before there were computers to fix off-beats, mis-hits, and mistakes. 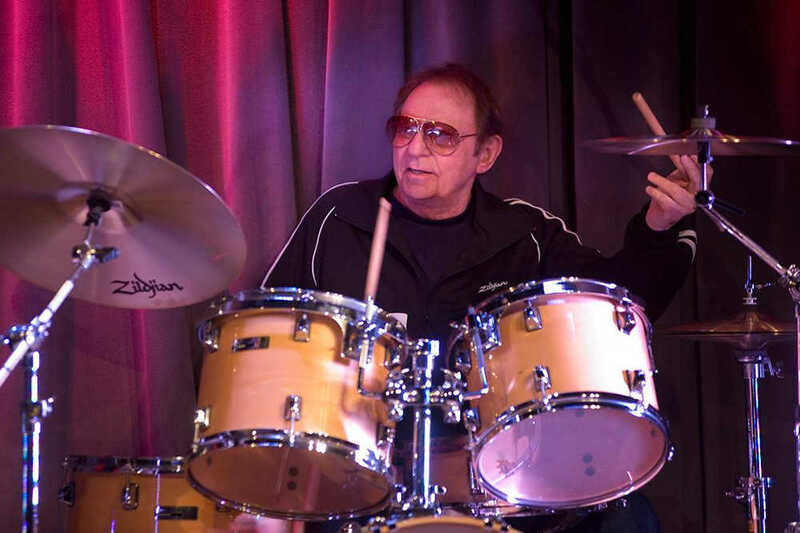 So let’s take a look at the carrer of Hal Blaine, to really understand the impact this man has had on drumming (and Western music in general) across his time here. Hal Blaine started drumming at eight years of age. After spending some time in the army, he moved to Chicago. He honed his skills early in his career by playing in Chicago’s strip clubs, before going on to perform with touring acts like Count Basie, Patti Page, and Tommy Sands. From there, he started as a session drummer in the 1950s. Older jazz-trained professional drummers weren’t interested in playing rock and roll music, which allowed Hal to get on board with a new musical style that would become huge. The Wrecking Crew started in the early 1960s as Phil Spector’s house band. Considering the huge range of recordings they made, Hal and the Wrecking Crew weren’t well-known in the general public, and were often not even mentioned on the recordings. For example, albums by The Monkees and The Beach Boys would have no indication of the actual recorded musicians, even though it was often Hal Blaine behind the kit in the studio (and other Wrecking Crew members on the other instruments). Fans would simply assume it was the band’s “official” drummer who played on the albums. Hal got paid, the records sounded great, and nobody was any wiser. Due to studio recording restrictions in the 1960s, instrumental tracks were almost always recorded live (with the entire band playing all together) rather than one instrument at a time. This required top-class musicians, as a small mistake by anyone meant having to restart the entire song from the beginning (which wasted money on expensive studio time). The instruments were usually mixed to a single mono track, and vocals would be recorded later. The “Wrecking Crew” name became popularized thanks to Hal Blaine’s memoir in 1990, and comes from a tongue-in-cheek jab at the older professional musicians of the time who believed the Crew would “wreck” the music industry (due to their leanings towards rock and roll music and their sloppy t-shirt-and-jeans dress code). Rock and roll was a dirty word to many old-school musicians of the time. Back when they were playing though, there was no official name for The Wrecking Crew, and it’s hard to get an exact number of members that were involved. It was not uncommon for Hal to work 14+ hour days, especially at the height of The Wrecking Crew’s career in the mid to late 1960s. This led to some of the crew becoming burnt out. They were paid very well for their time, but they had to neglect family life and everything outside of the music world. The musical landscape was changing by the beginning of the 1970s, which led to a reduced demand for top-level session musicians (and session ensembles who could record all together). Improvements in recording equipment meant that instruments could be recorded separately and in greater detail. Emerging bands also wanted to record all of their own material, leading to less demand for “ghost musicians” to record their parts in the studio. Drum machines would become a more common studio tool towards the late 1970s. Hal Blaine remained quite busy across the 1970s, but by the 1980s he took part in much less studio work and eventually moved into semi-retirement. By this time, he’d arguably achieved more than any other drummer in the world. There are simply too many achievements to list here, so let’s look at some of the highlights. Hal was called “the greatest drummer ever” by The Beach Boys’ Brian Wilson. He was the drummer on Buddy Rich’s daughter Cathy’s album – when Buddy was asked why he didn’t play on his own daughter’s record, he replied “I wanted the best”. Hal Blaine used Ludwig calfskin and Remo mylar drumheads across most of his career. Remo Diplomat drumheads were his choice on toms, and his bass drum often featured a calfskin drumhead, or a kevlar head. His main recording drum kits included a Ludwig blue sparkle bass drum with a 16″ floor tom. Along with this, Hal used 7 custom-made fibreglass concert toms (6″, 8″, 10″, 12″, 13″, 14″, 15″), and a Ludwig 400 Supraphonic chrome-on-brass snare. Hal Blaine was born on February 5th 1929, and passed away March 11th 2019 at the age of 90 years. Previous PostPrevious Hate Tuning Drums? WTS Drums Are Made For You!